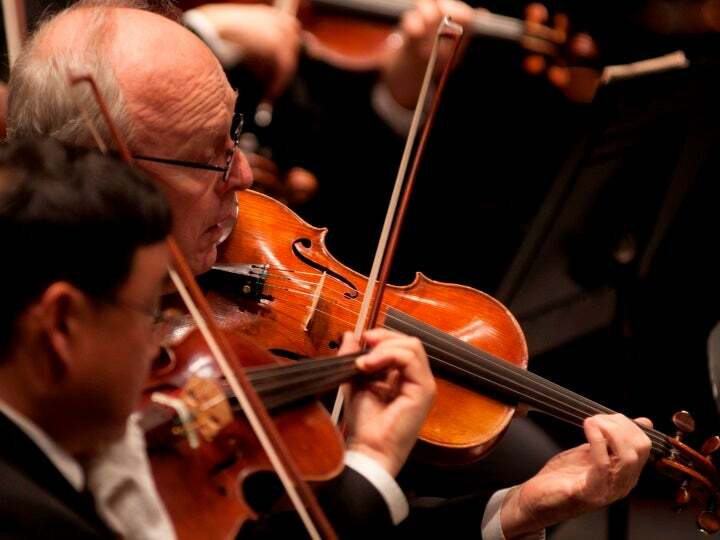 New Jersey Symphony Orchestra violist MICHAEL STEWART was the NJSO’s Assistant Principal Violist from 1991–97. He has served as principal violist of the New York Chamber Orchestra, New York Virtuosi Chamber Symphony, Symphony Orchestra of the State of Mexico, Wayne Chamber Orchestra and Westfield Symphony. He has performed as soloist with New Jersey Symphony Chamber Orchestra (Bach’s Brandenburg Concerto No. 6) New York Chamber Orchestra (Hindemith’s Der Schwanendreher) and Westfield Symphony (Mozart’s Sinfonia Concertante, K. 364). Stewart’s has studied viola with Abraham Skernick, Nathan Gordon and Jesse Levine. His chamber music coaches have included Lynn Harrell and Robert Marcellus. He has also studied conducting with James Levine. He has become a serious student of Irish traditional music, working with Sligo-style fiddling great Brian Conway. He leads a bi-weekly “trad” session in Metuchen, plays two to four metro-area sessions per week and has begun sharing his enjoyment of this music—along with its musical/technical demands and rewards—with his classically oriented students. Stewart resides in Cranford with his wife, former NJSO bassist Norine Stewart; they have two grown children. INSPIRED BY: I have been inspired by many musicians over the years. Among the most influential have been Yo-Yo Ma, James Levine, Ella Fitzgerald, Richard Bona and Brian Conway (a world-class Irish fiddler/my present teacher) for widely varying reasons. FAVORITE PASTIMES: Long brisk walks, coaching youth soccer (I “retired” last year after coaching for 19 years) and playing Irish music sessions. ROCK OR COUNTRY? I love classic rock, and when I travel west of New Jersey, I get into country again. FAVORITE SONG: The Irish ballad “Flowers of the Forest” by Willie McBride. FAVORITE SPORT: I’m a Barcelona soccer nut. BEST THING ABOUT THE 80s: My two kids were born. GUILTY PLEASURE: Green & Black’s Organic 70% Cocoa Chocolate and a good glass of Port. FAVORITE HOLIDAYS: Christmas and Thanksgiving, then St. Patrick’s Day. PRACTICE ROUTINE: I presently divide my practicing about equally between the viola (for NJSO music) and the violin (for various classical projects, as well as Irish fiddling). I have found many crossover benefits from my fiddling practice to my viola playing, and I usually begin my warmups to rehearsals or concerts with a reel or jig that I’ve been working on. I regularly begin practice with scales, arpeggios and related exercises, and I use the metronome extensively. ADVICE FOR YOUNG MUSICIANS: Try to develop the habit of confronting problems as they arise, rather than letting them go unaddressed for whatever reason. This mindset seems to provide a level of excitement that makes the learning process more effective and enjoyable at the same time. WHY MUSIC MATTERS: Music’s ability to suggest, convey and enhance the whole range of human emotions and experience, as well as to affect mood and even physical well being, explains its existence, in various forms, throughout history and throughout the world. It excites, exhilarates, consoles, inspires and calms like no other medium. Its power is unique, ubiquitous and irreplaceable.